I love to sit on the floor with William (age 3) and Emilia (age 1) and play, but I sure don’t love trying to get up again. Nor am I impressed with how hard the floor feels after a while. 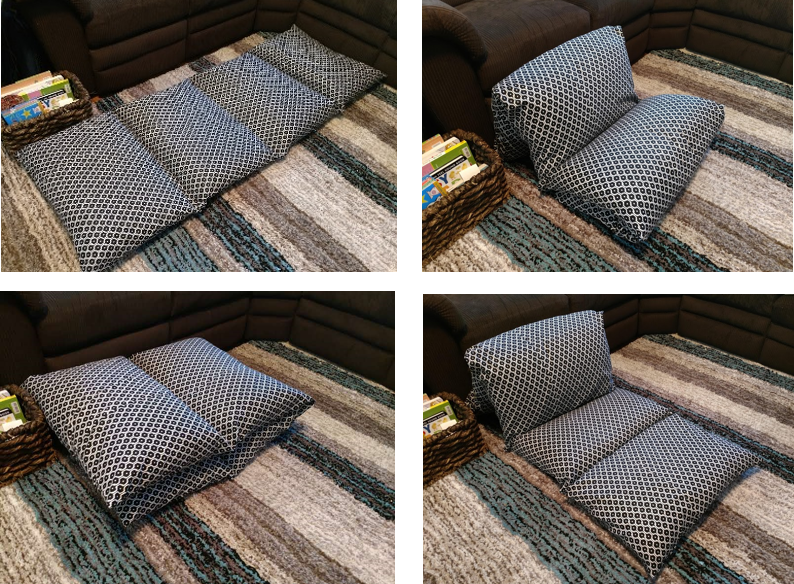 Given that and also knowing how much fun the little ones have falling/jumping/snuggling into pillows, I figured we could come up with something that would work for all of us. 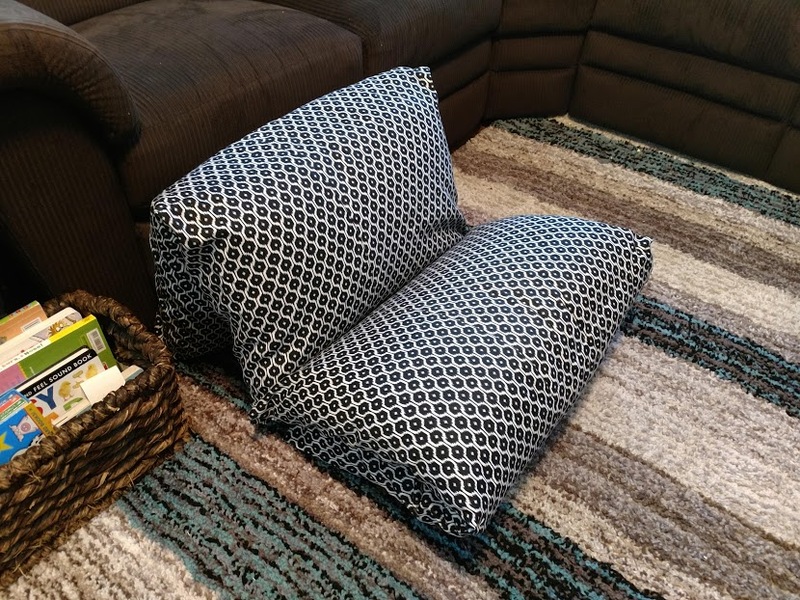 I searched online for inspiration, and came across some pillow loungers made from commercial pillowcases. 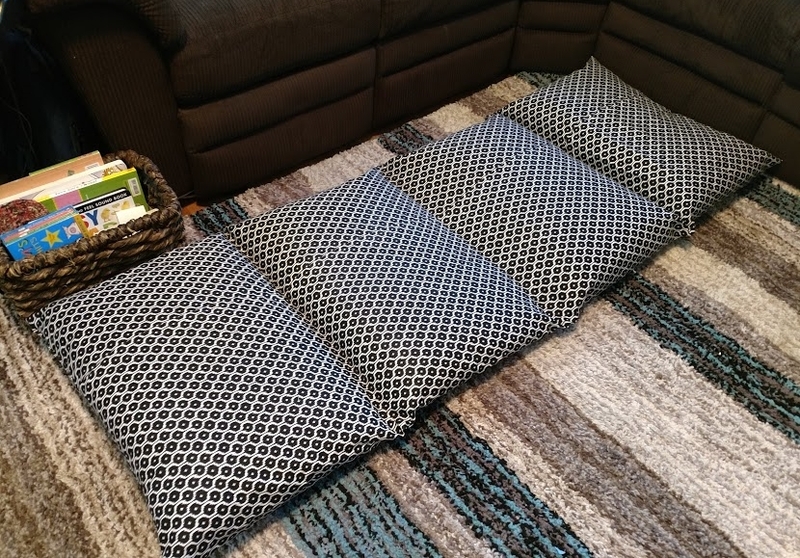 I loved the idea, but wanted a wide overlap to keep the pillows from falling out, and sturdier fabric. *I recommend buying a little extra for matching prints and/or to compensate if the cut ends of the fabric need to be straightened. I didn’t have have enough fabric to line the print up exactly when I sewed the 2 lengths together, but decided not to worry about it this time. 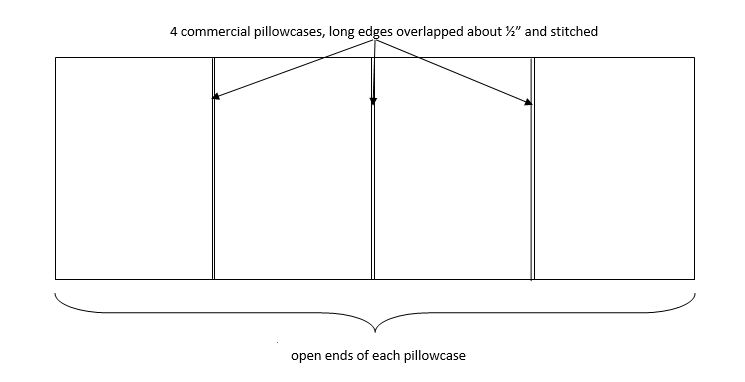 NOTE: A flat sheet could be substituted for the yardage (check size, first) – I expect a soft flannel or jersey might be especially cozy. 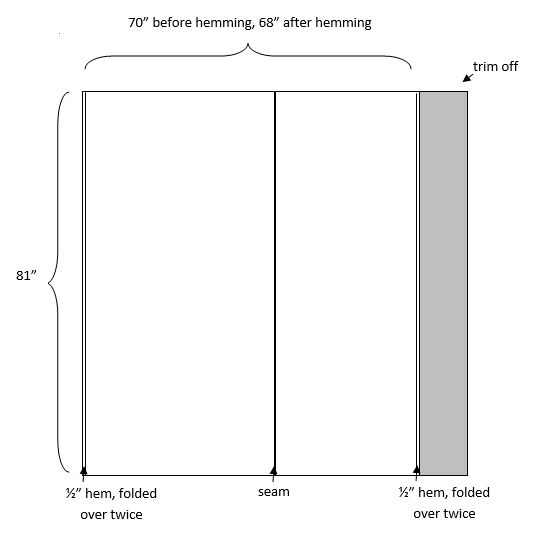 Please note: these illustrations are not exactly to scale, especially when it comes to hems! 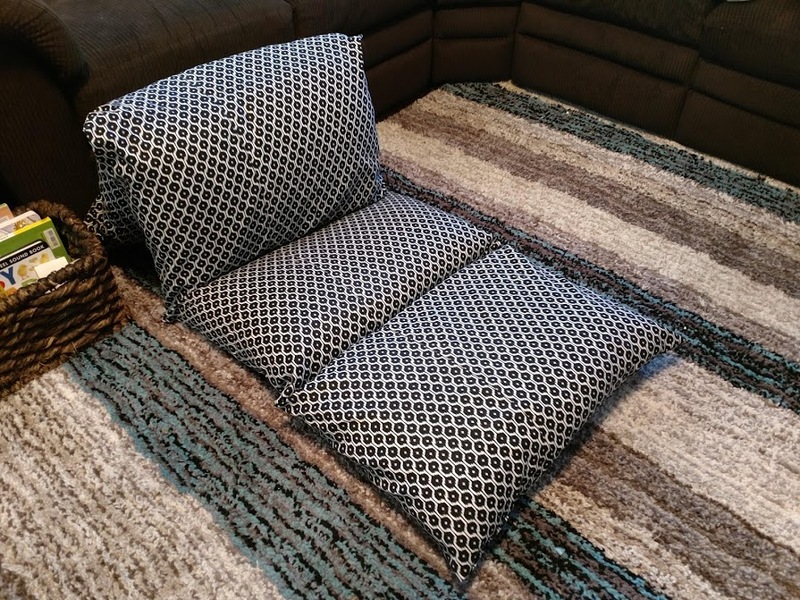 I sewed the 2 pieces together along 1 long side with a 1/2″ seam to create a 81″ x 79″ piece of fabric. I folded and pressed up each 81″ long edge 1/2″ and then another 1/2″ to create a finished hem on each side, and stitched the hems down. After hemming the long side edges of the fabric, I laid the fabric out, right side (pretty side) up. 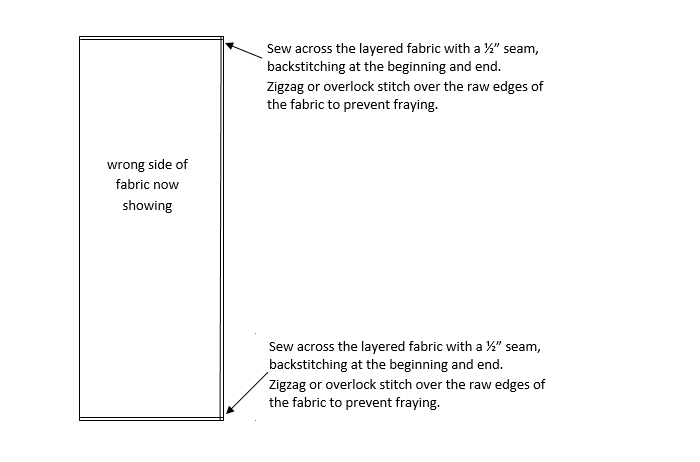 I measured in 12″ from one long edge and folded it toward the center of the fabric. 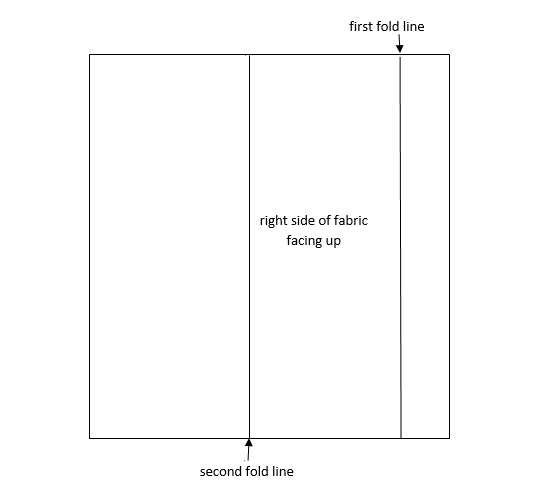 Fold the 12″ wide section over first. 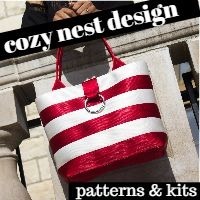 I sewed across the top and the bottom of the layered fabrics with a 1/2″ seam. I turned the whole thing right side out and poked out the corners and sides so that it would lay flat. 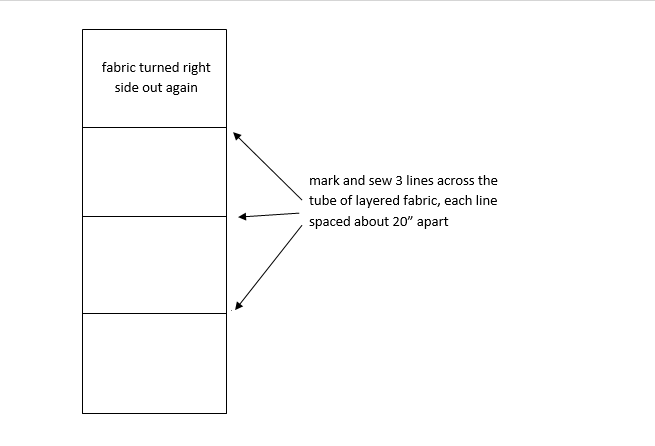 I sewed 3 lines across, each 20″ apart, backstitching at the beginning and end of each line of stitching. For extra durability, I stitched each of these 3 lines again, right on top of the first stitching. Stitching the lines across the tube to create an individual pocket for each pillow – the fabric must be turned right side out FIRST! 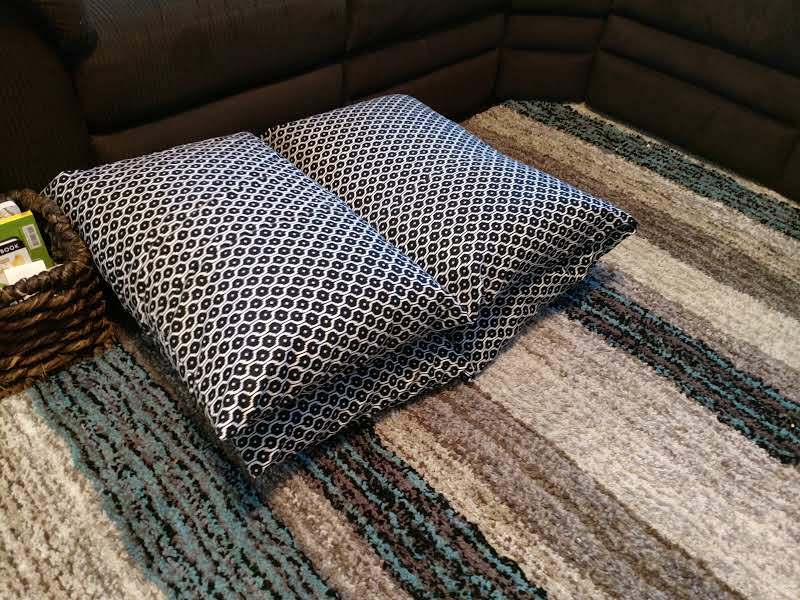 I inserted the 4 pillows through the opening in the overlapped fabric on the back side of the tube and smoothed the fabric out again.